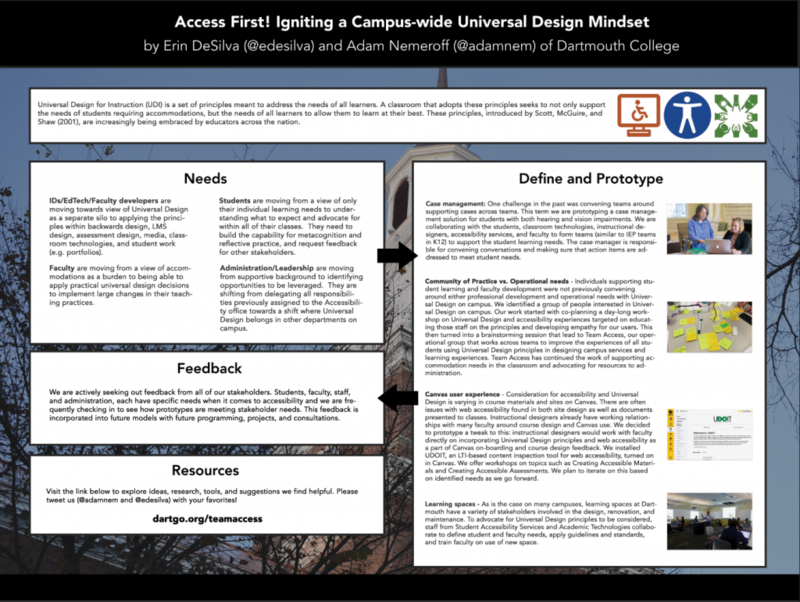 At ELI 2017, Instructional Designers Erin DeSilva and Adam Nemeroff represented Team Access at Dartmouth College. Team Access is an inter-departmental group of staff from Classroom Technology, Educational Technology (Instructional Design), and Student Accessibility Services. Together, we work to improve access to learning experiences for all learners. The following is our poser we presented and the resources we frequently consult with through our work. 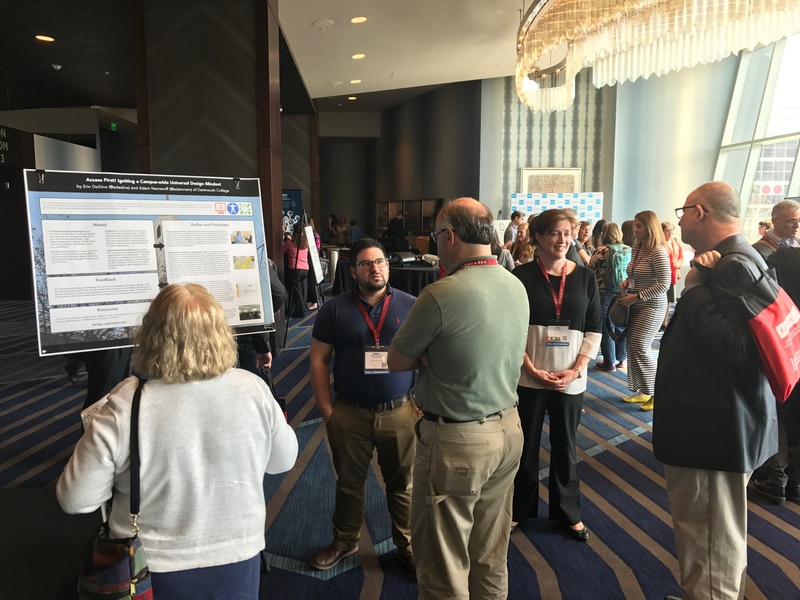 This is the poster that we presented at ELI 2017. This is a text-recognized PDF version.